Saturday dawns bright and beautiful. In the restaurant, we meet many of our crew members who have arrived at various points in the evening and it seems as though Wave Walkers have taken over the whole place. Mrs Cheong, of whom you will hear more later, is on toast duty and mothering everyone. We are all a bit bleary-eyed but everyone has plans for their day. 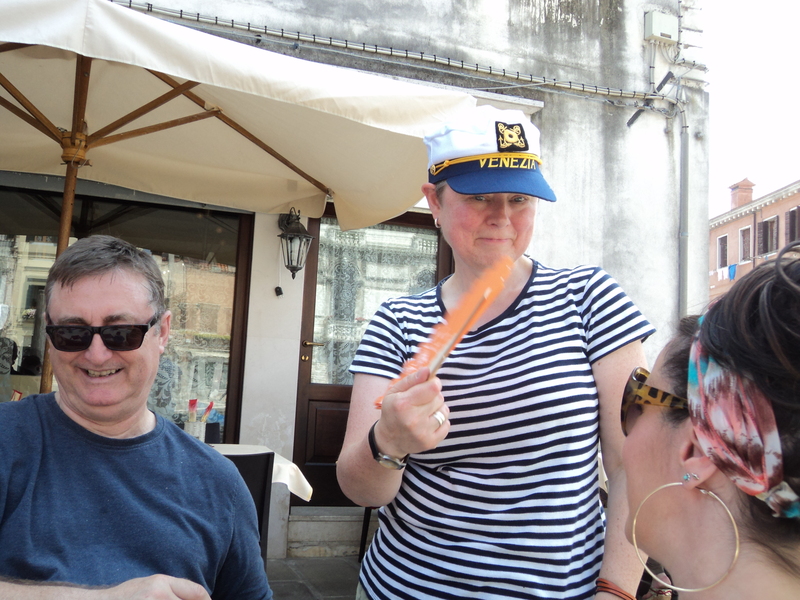 We are agreed on meeting at lunchtime for a big team lunch but before that we decide to go to the Rialto market and buy fruit for the next day and to have a mooch around. 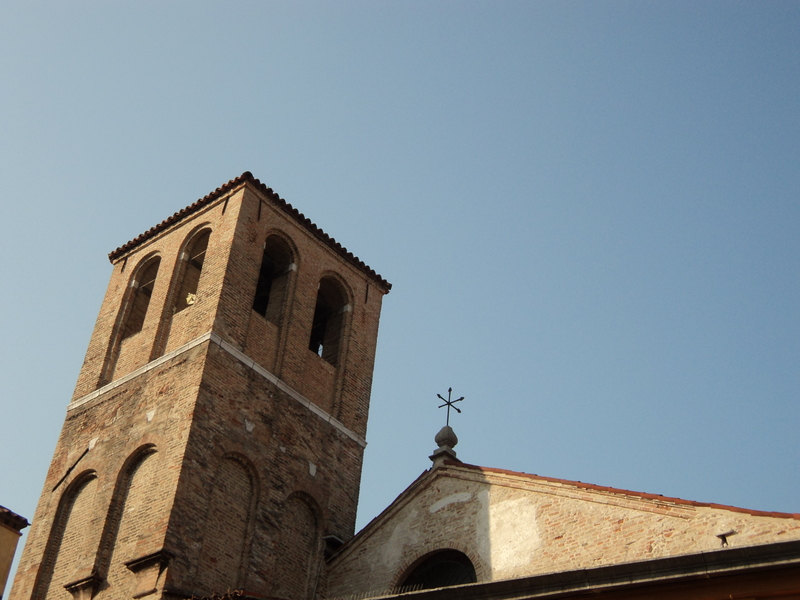 On the way to the market, we discover that flipflops are no match for marble steps as Ms Gordon falls on her backside not just once but twice, leaving Italians to make a very stereotypical “Ay!” noise as she falls down. Rialto is heaving with tourists but we find our way to the fruit and vegetable market where it becomes difficult to decide what to buy, so much of it looks delicious and under the hot sun, it all smells wonderful. In the end I buy bananas, strawberries, cherries and nectarines. Ms Marsden buys ripe green figs. We sit down at a cafe for a cold drink and look at the many maps we have to try and work out where the lunch is being held. I must admit to being a little grumpy as I don’t feel particularly well but we finally agree that due to the exorbitant cost of getting a water bus, we will walk to the restaurant with lots of stops on the way. Ms Gordon has sat nav on her phone which, although the battery is running low, promises to guide us to the restaurant. At this point, we have not had the chase to find out where we are in relation to anything else so have no idea where the restaurant is. The sat nav takes us down tiny alleyways and we seem to be turning left and right every few feet. I decide to buy a hat and so does Mr Mason. We also buy a captain’s had for Captain Deryn. The man in the hat shop is delighted. The heats gets to us a bit and by 1pm, we don’t know where we are or where the restaurant is. We stop off at the end of a wharf for another drink and to use the toilet. My phone, obviously, is not working, even though I was told categorically that it would be. Thanks, Virgin mobile. Other people are able to send texts requesting rescue. By 2pm we are truly desperate and talk of finding any old restaurant to have lunch in in a defiant kind of way. 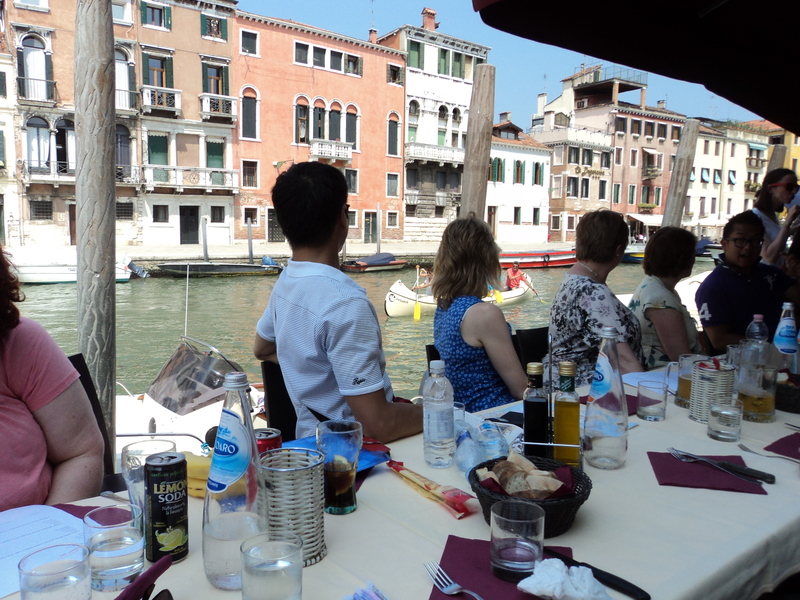 We visualise the rest of the team eating by the side of the canal sheltered by umbrellas, sipping cool drinks and not looking hot, sweaty and slightly crumpled as we look. We walk back towards the Tre Archi bridge when suddenly there is a cry and we can see Captain Deryn running towards us! It is like being rescued from a desert island. We have followed the sat nav which has apparently taken us past the restaurant on the wrong side of the canal and is basically telling us to jump into the sea. This we will not do. We follow Captain Deryn back to the restaurant where the rest of the team has been waiting for us, sipping wine and looking cool. Several of them are drinking something in a nuclear shade of orange. We see it all the time with people of all ages and sensibilities knocking it back like there’s no tomorrow. I am suspicious. Something that colour cannot possibly be good for you. I do not indulge. It is very good to meet up with everyone and we are all a bit anxious about the 30km paddle we are doing the next day. Anxious in many ways whether we are raring to go or just unsure of our capabilities. The next day is a huge milestone for us both as individuals and as a team. Created in early 2012, Wave Walkers have come a long way and now we are about to embark on our biggest challenge to date. The time has come for the Vogalonga trip. 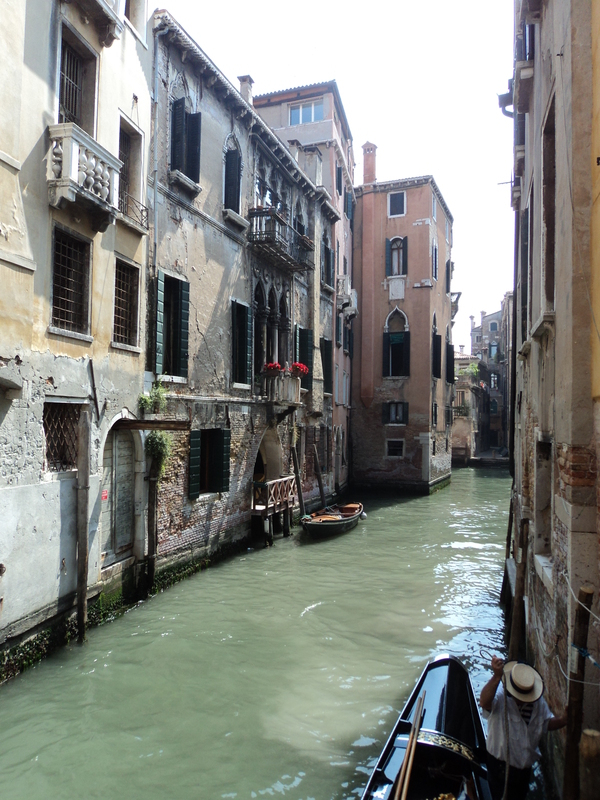 For those of you who have not picked up on this so far, Vogalonga is a route through the lagoon, round Murano and back into the Grand Canal in Venice which can only be completed by man-powered boats. Well, I should say people-powered but that sounds a bit daft. I am sure you understand. So this is why Mr Mason and I find ourselves leaving the house at 2.30 in the morning to jump in the car, collect Ms Marsden from her home and drive to Gatwick for the ridiculously early flight we have booked ourselves. It is cold, I am in flipflops and it’s not a good start to the day. I have been having some pains in my left chest/lung area – enough to make sleeping and getting a full breath possible – so I am not feeling on top form but we have been planning and training for this for so long, there is no way I am going to miss it. At Gatwick we separate as we are flying with Monarch while Ms Marsden has splashed out on British Airways, complete with a snack breakfast. On Monarch we have 2 attendants with a tea trolley, rather reminiscent of train service. We also bump into fellow paddler Ms Betab in the queue for security and find out she is on the same flight as us, sitting just across the aisle. For the first time in ages, I do not have a screaming baby sitting anywhere near me which is something of a relief. 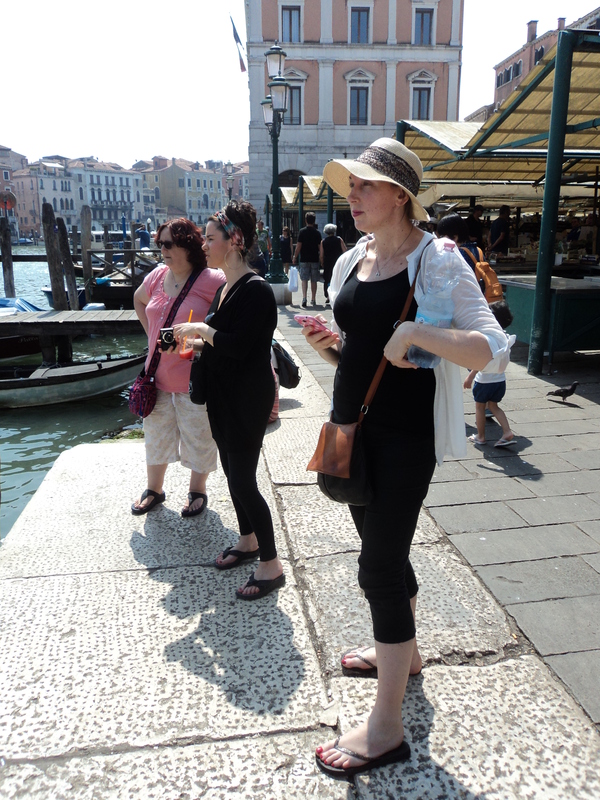 Arriving at Marco Polo airport, we manage to work out how to get tickets from the machine for the waterbus which will take us to Venice proper. So clever are we that we can even help other people. I don’t loiter deliberately in order to look smart, but both Mr Mason and Ms Betab have to relieve their bladders so I am left looking after the bags and helping people. Once we are through security, we head for a cafe and wait for Ms Marsden who, once she arrives, tells us she didn’t even eat the complimentary breakfast. Oh, the thought of those scrambled eggs and little squashy sausages that you only get on flights going to waste. We point out there are chlldren starving in Africa etc etc but she is unrepentant. Once we get outside, we realise how hot it is. The forecast has shown us good weather for the whole weekend with temperatures around 29 degrees. This will make for hot paddling and I am immediately hot and bothered in a most unattractive way. The waterbus arrives and we all pile on and are made to cram into the fore cabin which is already pretty full. Bags are slung this way and that and we squeeze together in the hope of not being bounced off our seats by a recalcitrant wave. But it is fine and we arrive at Rialto to find the place fairly heaving with people. The hotel we are staying in is one we have stayed in before and somehow, digging into our memory, we manage to find it. As it’s early, we leave our bags there and go back out into the sunshine to find Ms Marsden’s hotel which is down a side alley and looks nothing like a hotel. She is pleased with it, though, and says the rooms are fine and the people running it are helpful so all is well. I would like to tell you in detail what we did next but I can’t remember so you’ll have to make that bit up. At lunchtime, we find a nice restaurant and sit at tables outside. For some reason, I order a pizza and, thinking it is just the lunchtime menu, expect it to be small. It is huge when it arrives and way more than I can eat. I get a little help from Ms Marsden but in the end we have to admit defeat and even shun the offer of a takeaway container for it. Gradually, we all start to wilt with both heat and tiredness so we take ourselves off to our respective hotels for a snooze. A quiet meal at the hotel in the evening and we are ready for Saturday and whatever that brings! After a challenging week, Saturday arrives which means paddling. Not the roll-up-your-trousers at the seaside kind of paddling but full-on Dragon Boat paddling. Well, maybe full-on is a bit of an exaggeration. The weather is grey and rain threatens but we set off across London with our friend and her daughter. The team is set up for anyone affected by cancer and we are gradually building a good team. We are Wave Walkers and we have ambition! We have 18 people on the boat today and everyone is in good spirits. Mr Mason and I have not been for a while so we do a basic refresher with some new paddlers while everyone else gets warmed up. I am paired with a regular Raging Dragon – the professional arm of our club – and he promises to drag me out of the dock should our boat capsize. This is not something that has happened before but we always have a safety drill beforehand and number off so we each have a buddy should there be an accident. Our coach takes us through a lot of set-up practice. We wave our paddles about to commands of “One! Two! Stroke!” Part of the problem with our group is that we all like each other a lot and spend a lot of time chatting and ribbing each other. Any comment about how well someone is doing generally meets a chorus of “Ooooh, aren’t you clever?” type remarks. It also helps to know your left from your right and some of the team clearly have issues with this. I mention no names but you know who you are. Suzannah. We paddle with the paddles the correct way and then paddle with them upside down so we can practice our kick – the leg movement that adds more power to our paddling. During the stroke, you also have to twist your upper body so you are not using your arms to power the paddle – it is coming from your core and the kick. Mr Mason and I are rather challenged by the slipping one buttock off the seat whilst twisting. Well padded though I am, I feel my bottom complaining about such rough treatment. We swap sides during our training so both buttocks get the same workout. It would look plain weird to build up muscle on just one side. We are planning to enter the Vogalonga 2014. 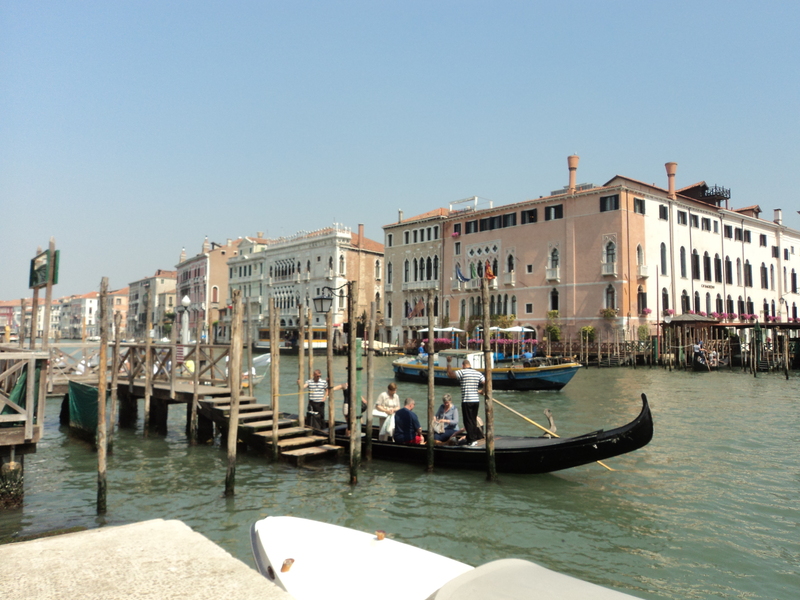 It’s a 30km paddle through the Grand Canal in Venice and it going to be a huge challenge for us as a team. None of us is very fit and we are all at different stages of recovery together with our friends and family. We also need new members in the London area so if you like the sound of it, get in touch. Saturday evening we go out with friends to a local noodle bar. On the way I start to feel my muscles aching but in the way you know you’ve been active rather than pulled a muscle. Having also completed my Mindfulness practice before leaving home, I am positively Zen for the evening. We have a lively and fun evening and that night I sleep like a log. In the morning, I ache in lots of places, particularly the stomach and thighs which, I think, proves I was paddling effectively. I feel my buttocks are bruised, though, and cannot think of any way to find out other than showing them to Mr Mason. He says, after looking, I think, a tad too long that they are fine and unbruised. Clearly my natural padding worked. Paddling together with Mindfulness has given me a clear head, for once, and I feel quite energetic and enthusiastic. I certainly don’t sit down much on Sunday but that may also have something to do with the pain in my buttocks… Roll on the next training session!